Residents of the gold town are not opposed to having a harmful factory. They just want to stop another from appearing. Kazarman activists in front of the Makmal G.L Developing plant. An activist points out the Makmalzoloto tailing dump. One of the activists drives a car from Kazarman to the Makmal G.L Developing plant. The road leading to the Makmal G.L Developing plant. Residents top up their mobile phone balances in the central district of Kazarman. Residents during a public hearing about the construction of Makmal G.L Developing's plant. Representatives of the commission during a public hearing about the construction of Makmal G.L Developing's plant. Residents listen to a public hearing about the plant's construction. The bridge connecting Kazarman with Chaldovar. 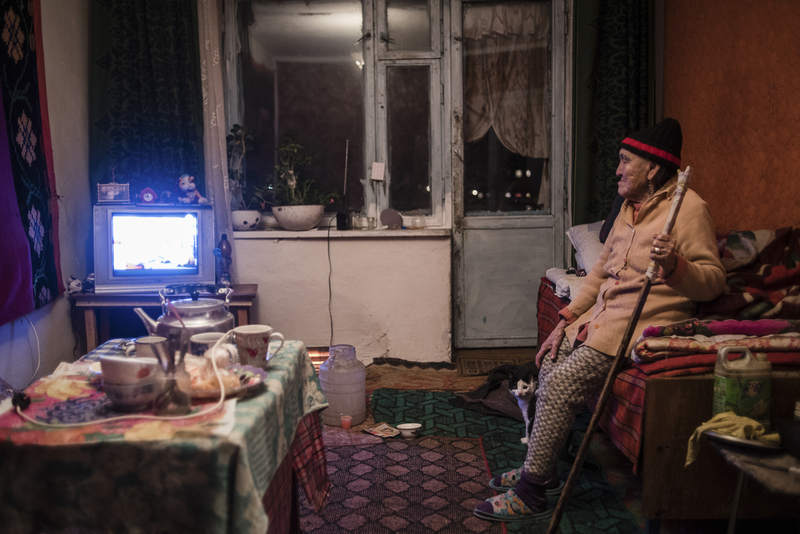 Pensioner Saken Kapysova watches TV in an apartment in multistory building constructed during the Soviet era for employees of the Makmalzoloto plant. She was born in Kazarman and has worked as a hairdresser her whole life. 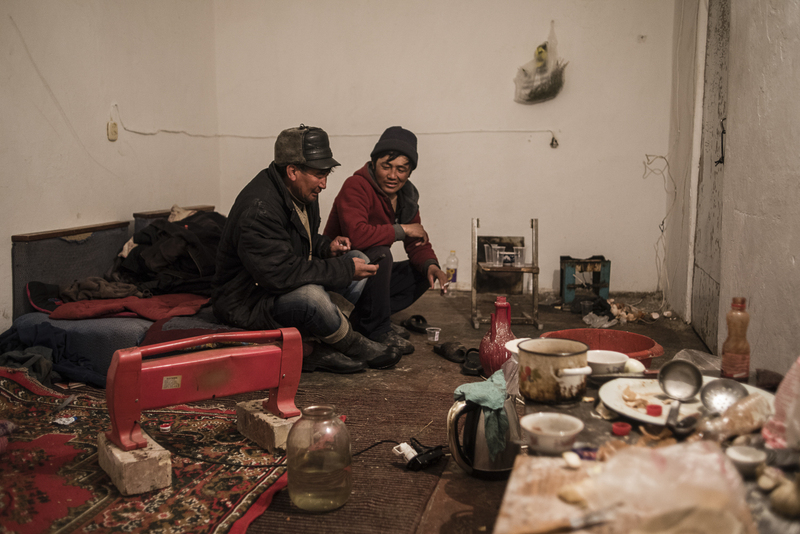 Erlan, who is unemployed, sits with his neighbor in his apartment. The apartment building was constructed during the Soviet era for Makmalzoloto plant workers. The language of gold-making spills easily from people’s mouths in Kazarman. Every other townsperson can talk with the best of them about crushing ores, leaching by cyanide and roasting. 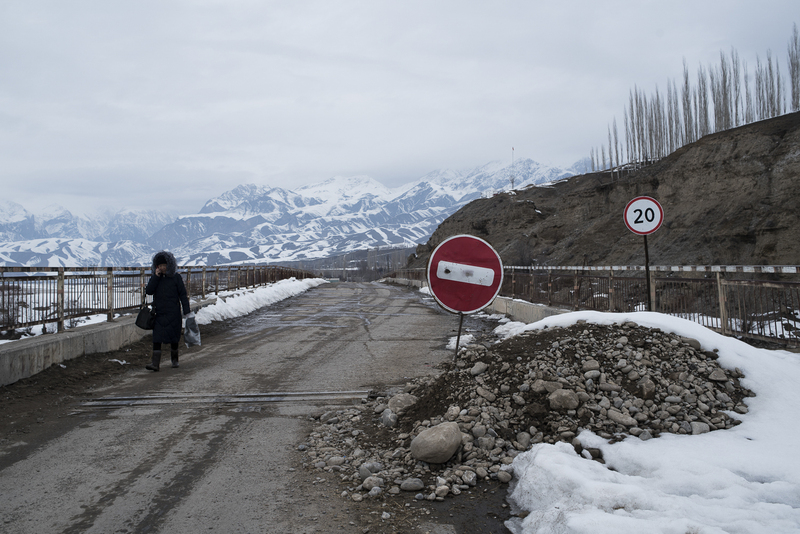 For a little over 30 years, this town in west-central Kyrgyzstan, home to a giant Soviet-built smelter, has been all about gold. Gripes about the perceived damage caused to the environment by the industry, however, are festering and have galvanized opposition to a new, privately owned gold-refining plant under development since 2016. 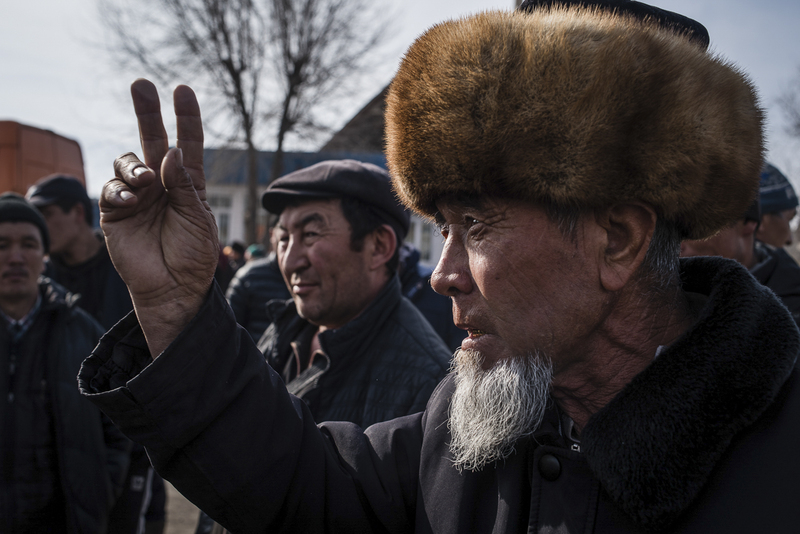 A couple of times a month since the start of this year, residents have congregated on a square in Kazarman, home to around 12,000 people, in a show of a discontent with Makmal G.L Developing, the Chinese-backed company behind the project. The rallies have typically begun at 10 a.m. in front of the House of Culture building. 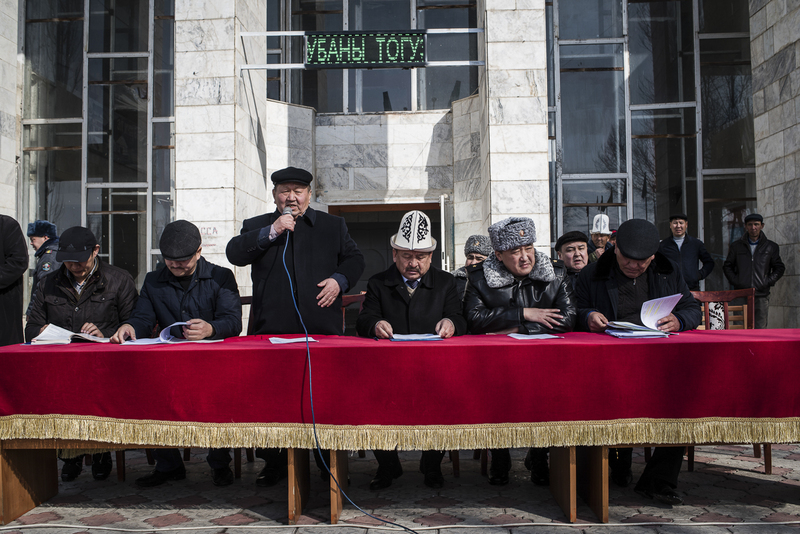 After organizers set up a microphone and speakers, the town akim, or mayor, Tilek Idirisov, would open proceedings and then give way to others who wished to air their grievances. 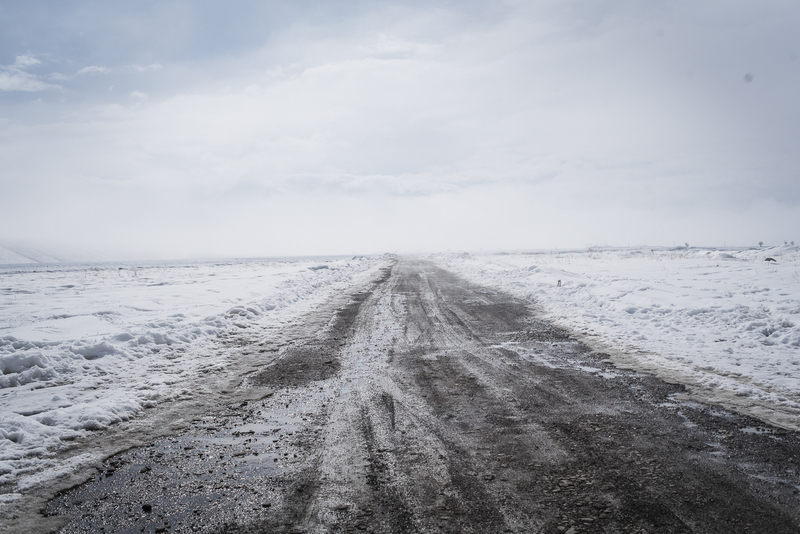 On February 7, Maksat Yasymov, a former worker at the town’s Makmalzoloto gold smelting plant, came forward to address the crowd, which huddled close around him in a circle under the rapidly falling snow. 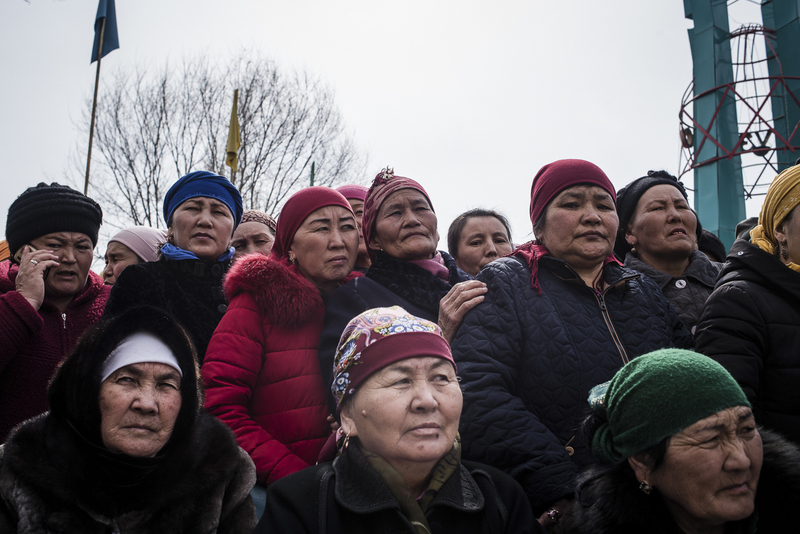 Listeners punctuated Yasymov’s delivery with cries of approval, while a stout police officer filmed the gathering on a mobile phone. The assembly concluded without incident and Idirisov, the mayor, assured those present that work on the new plant would be halted and people’s complaints relayed to officials higher up the chain. Neither promise was kept and so the next protest, on March 1, went less smoothly. Instead of meeting at the House of Culture, as usual, a group of several dozen descended directly on the plant. After a few hours, a group of rally attendants decided to check for themselves what work was actually going on behind the cinder-block perimeter. First, they tried to push their way through the fastened gates. When that failed, some took to pushing over the wall itself. This isolated outburst of unrest, which was filmed on mobile phone and circulated online, put Kazarman on the national agenda. 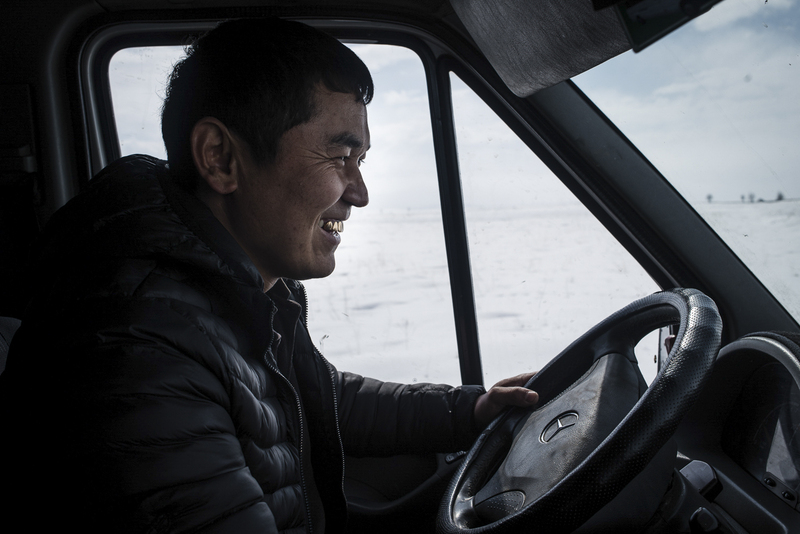 President Sooronbai Jeenbekov appeared to tacitly support the local cause when he said in early March that any projects harming the environment should be stopped. But Jeenbekov’s remarks were selling the problem short. People in Kazarman are not opposed to having a harmful factory. There already is one of those, they say. They just want to stop another one from appearing. The Makmalzoloto smelter appeared in Kazarman in 1985 and has churned out 20 tons of gold in the years since. It is the largest plant of its type in Kyrgyzstan and is owned by the state-run Kyrgyzaltyn gold miner. The legacy of the smelter is mixed. Kazarman has four middle schools, a vocational training college, a school of arts, public baths, cafes, a cinema, the House of Culture and its own hospital. It is unlikely much of this would have appeared were it not for the importance bestowed on the location by the plant. Even now, Makmalzoloto redirects a portion of its revenue to the Toguz-Torou district, where the town is located, to help mitigate the environmental impact. That money counts for around 95 percent of the region’s budget, although dwindling productivity means the amount is slipping with every passing year. Kokumbayev, the taxi driver who helped tear down the wall, is unimpressed by all that and points to the crumbling roads to make his point. 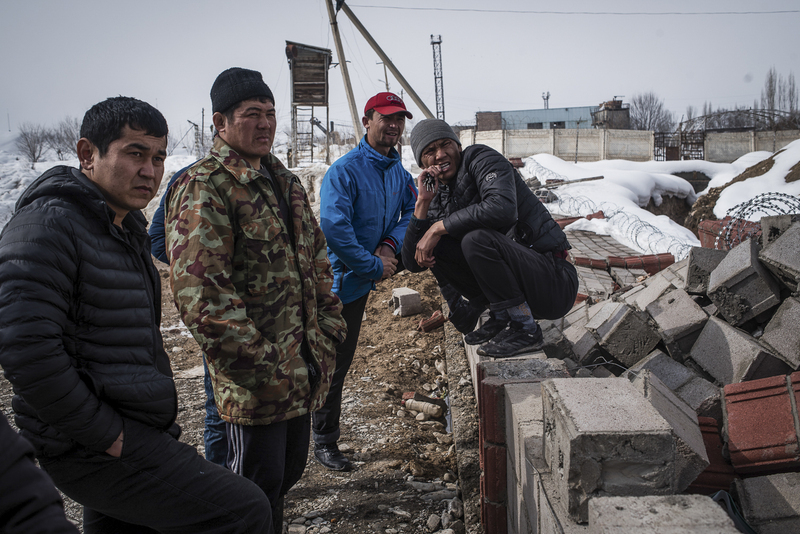 Lestanbek Isabekov, a technician at the Kyrgyzaltyn-owned smelter, said the plant is in any case inexorably winding down. The plant has also been plagued by chronic theft, with workers and managers simply pilfering the gold. “We have had many cases like these in recent years. We supposedly have some level of control, but there is a lot of corruption. If they wanted to stop this, they could have done it ages ago. I know many companies in the Urals [in Russia], where I worked, and when they wanted to stop stealing, they would drop everything and sort it out in a second. But here everything is covered up,” Isabekov said. Tursunbekov, the town council member, said that he is also concerned about how Makmalzoloto stores its cyanide-tainted waste after the acid is to purify the gold ore.
“There is no water on the waste disposal site that might be able to hold it in place. The wind blows up the acid and cyanide, casting it out as dust that then flies into our town. We are like a garbage can,” Tursunbekov said. Anxiety about cyanide contamination is far from unfounded. 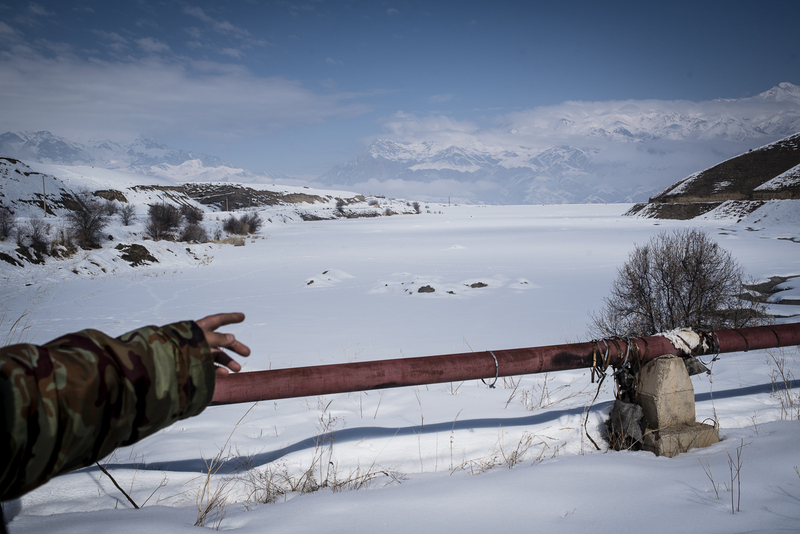 In May 1998, almost two tons of sodium cyanide were tipped into Kyrgyzstan’s Barskoon River when a truck heading for the giant Kumtor mine was involved in an accident on a bridge. The Canadian-owned company running the mine waited around eight hours before informing the authorities of the accident, only compounding the scale of the disaster. Maksat Jeenaliyev, the leading local partner at Makmal G.L Developing, is both exasperated and understanding about public sentiment in Kazarman. 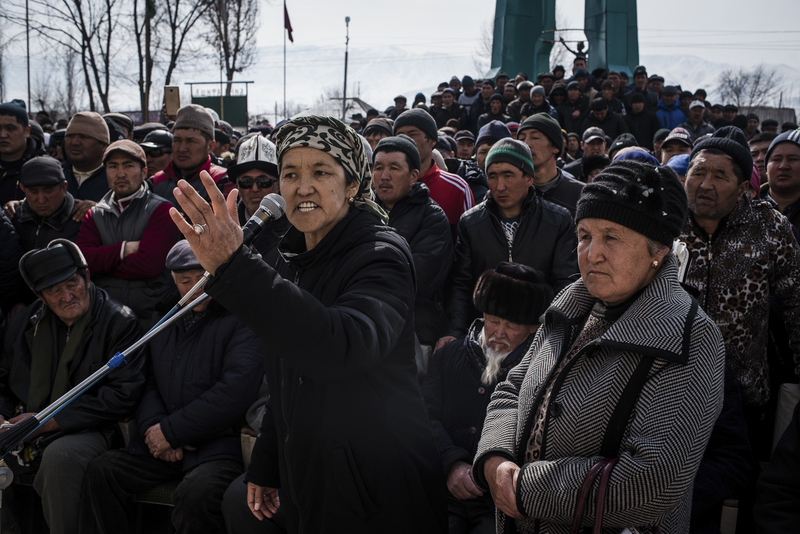 “Kyrgyzaltyn belongs to the government and the local community has not until now been given a lot of support, so that is why we are distrusted,” he said. Jeenaliyev is – like his opponents – also from the Toguz-Torou district. He rose through the ranks at Makmalzoloto over the course of 15 years, reaching the top of the company. “When I was vice president … and was responsible for bringing in investments, residents used to come to me with their problems. They used to say that we needed to modernize the plant. I was worried there would be unemployment if [we] went bankrupt,” he said. Jeenaliyev relocated to the capital, Bishkek, from Kazarman in 2000. On some level, resentment toward him in town stems from the feeling that he is the local boy who made his fortune there, only to leave and then return years later with a contentious project. But he describes the new plant, which will be situated within the grounds of the Makmalzoloto facility but run independently, as a patriotic undertaking to revive a dying enterprise. In an attempt to move things forward, the town held yet another public assembly, on March 10. The evening before, the government officials who traveled from Bishkek to participate dined at their hotel to avoid accidentally running into any irate locals. Around 400 residents turned up for the chance to address the officials directly. When an employee with the State Inspection Office for Environmental and Technical Safety vowed that Makmal G.L Developing would be shut down if its operations were found to be harmful, a cheer went up through the crowd. But when Jeenaliyev tried to make his case, he was drowned out by whistles. “The Chinese-Kyrgyz company will pay 53 million som ($775,000) into the local budget every year. And if earlier, we used to extract gold from the ore with cyanide, now we will use organic thiourea as a chemical reagent,” he said. Unconvinced, one speaker after another lined up to talk about their worries for the environment. As the assembly drew to close, townspeople serried around Jeenaliyev to berate him further. “Of course, young people in Kazarman don’t know me. But I did not expect a reaction like this from my fellow townspeople. I was amazed. 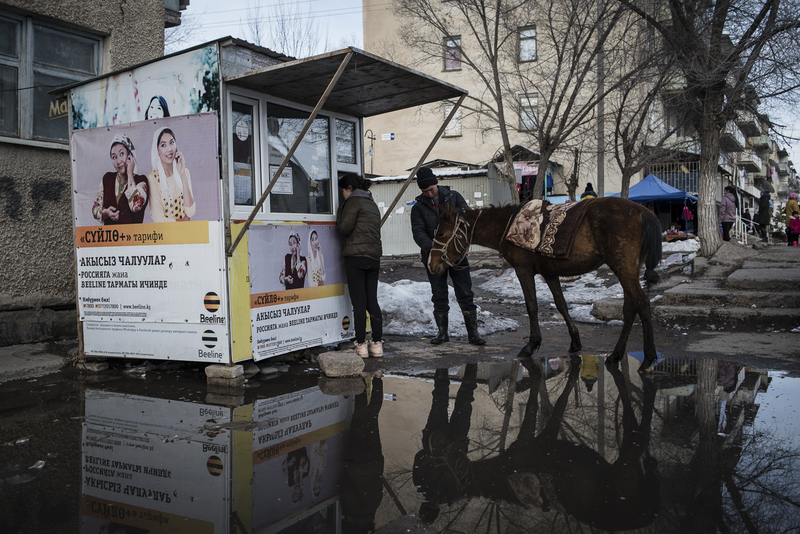 When we began building in 2016, we didn’t see this level of protests,” Jeenaliyev told Eurasianet in a brief interview as the impatient residents edged ever closer. Encircled by a police detail, Jeenaliyev and the officials got into their vehicles and made their departure by a carefully preplanned route. Once all the excitement died down, people in the square declared they wanted to hear no more of their erstwhile neighbor or his business ideas.